The left back from Fulham has emerged as a target for quite a few clubs this season and according to reports coming in from the Sky Sports, Manchester United are the latest name to become a part of the race. The 17-year-old was an initial target for Tottenham this summer but a transfer to Wembley seems to have fallen away, thus allowing Jose Mourinho to step in with a chance of signing the lad. The player has impressed one and all at Craven Cottage, and is deemed to make it big in England in the time to come. Luke Shaw and Ashley Young are also set to make comebacks for the Red Devils, and that adds increased options for the team at the full-back position. If United do agree a deal for the teenager, he would be allowed to spend the current season with Fulham before coming to Old Trafford next season. 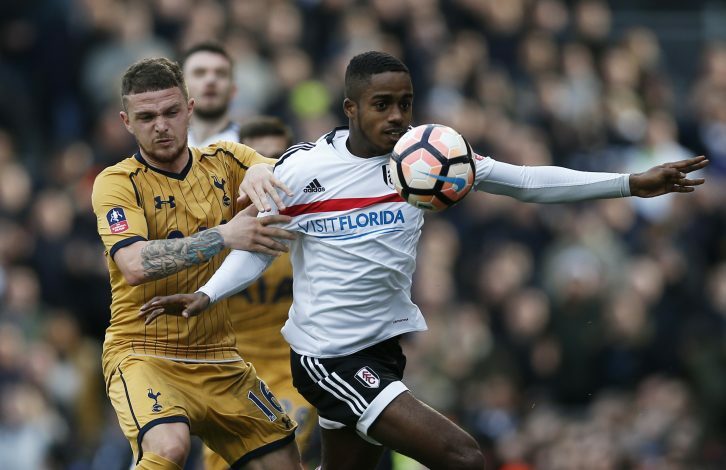 The possibility of Sessegnon heading to Manchester is currently 3/10. Kieran Gibbs has been deemed surplus to requirements at Arsenal, and has been allowed to leave the club this summer. As per rumours coming in from Times, the player is being seen as a transfer target by Galatasaray. The left-back has been linked with a move to the Turkish club in a deal that could very soon reach a positive conclusion. The 27-year-old is said to be valued at £4 million by Galatasaray, but Arsenal are staying firm at their asking price of £10 million. The defender was also a topic of interest for West Brom and Watford earlier this window, but will most likely follow the likes of Podolski and Eboue – players who went from the Emirates to Istanbul in the years gone by. The 10-time capped England international is desperate for game time, and if that is on offer at Galatasaray, he should not think twice about heading there. The chances of Gibbs making a move are currently 9/10. Andy Carroll has had a torrid time at West Ham, as injuries and fitness crisis have led to a drastic dip in form and game time for the striker. The Hammers are eager to send him away from the club, and according to reports mentioned in The Sun, an emotional return to Newcastle United could well be on the cards. Rafa Benitez is in urgent need of bringing a goal-getter into his side, and who better than their former hero to fit the bill? The forward was a fan favourite during his time with the club – a place he left in 2011 for Liverpool. His career has been in constant decline since that moment on, and is now constantly facing pressure to be fit and justify his position as a Premier League level striker. West Ham wish for him to take the exit door this summer, and if a reunion opportunity does come around, it should be one that the big man should immediately grab onto with both hands. The possibility of Andy Carroll’s career going full circle is currently 8/10. After spending a glorious career with Juventus so far, their faithful servant Claudio Marchisio seems to be on the lookout for a new challenge and play his football elsewhere this season. The 29-year-old has spent almost all his footballing days with the Old Lady after graduating from the club’s academy as a youngster. According to reporters coming in from La Gazzetta dello Sport (via Ilbianconero), the player feels his importance at the club has faded away, and it is time to move on, giving Chelsea the chance to sign him up. Marchisio is an Italian and Juventus legend, and should not have a problem in finding a new team in no time. Antonio Conte has been a fan of the player for a while now, and with his need to add further quality in the squad, this might be the perfect time to bring the player to Stamford Bridge. A world cup winner knowing everything about being a champion, the player could be absolutely perfect for Chelsea to defend their Premier League crown this campaign. The chances of Marchisio coming to London are currently 6/10.